Ubiquiti never ceases to surprise. 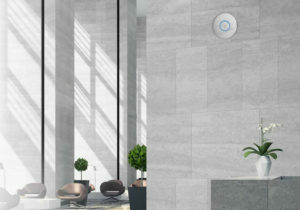 After very successful UAP-AC-PRO and UAP-AC-HD models, the manufacturer has recently presented ultra-modern access points for UAP-nanoHD and UAP-XG. The first of them is primarily a compact form, speed and greater efficiency, the second – the power that really impresses. Learn more about them! With their improved range, performance and reliable operation in diverse environments, Ubiquiti’s latest models have a good chance of repeating the success of their predecessors. UAP-nanoHD is yet another awaited Ubiquiti product, following the bestselling PRO and HD models. It is characterized by a small, compact design, low profile, 4 × 4 Wave 2 MU-MIMO, support for over 200 users, 802.3af PoE and an excellent price-performance ratio in the Enterprise WiFi segment. The solution works with well-known UniFi software. Thanks to the low profile design and personalized case (available separately), UAP-nanoHD is an extremely inconspicuous device that easily fits into almost any space. Another advantage of nanoHD is its modest size – over 30% smaller compared to UAP-AC-PRO. We had the opportunity to test UAP-nanoHD and, admittedly, it works really well. Learn all the details in our unboxing! Ubiquiti strengthens its reputation of a solid, trustworthy brand with each new series. It is no different in the case of UAP-XG. The model is the fastest access point available on the market. It is distinguished by 802.11AC Wave2 Quad-Radio WiFi, 10 Gigabit Ethernet, MU-MIMO, 5GB/s performance and up to 1,500 clients. Like nanoHD, UAP-XG works with intuitive UniFi software, which allows for quick detection of devices, their monitoring and configuration for centralized control. It provides safe work, real-time monitoring tools, as well as detection and prevention of breaches. The model constantly monitors the RF environment, checking both potentially harmful activities and the best channel for efficient network operation. Watch our unboxing and learn more about Ubiquiti’s ultra-efficient model. If you’re interested in learning more about the manufacturer’s solutions, sign up for Senetic Academy. This is where you can find comprehensive tips on how to build a professional infrastructure based on Ubiquiti’s products and a range of other time-saving and useful information. To get to know the new products, go to https://www.senetic.co.uk/product/UAP-NANOHD and https://www.senetic.co.uk/product/UAP-XG. There you will find a comparison with previous models, information on applications and users manuals. In case of any questions, feel welcome to contact our experts who will gladly share their knowledge of the offer. Call them at 020 3666 5800 or write at: info@senetic.co.uk. Share the post "Ubiquiti surprises with new arrivals in the UniFi series"
Why do penguins need Ubiquiti solutions?